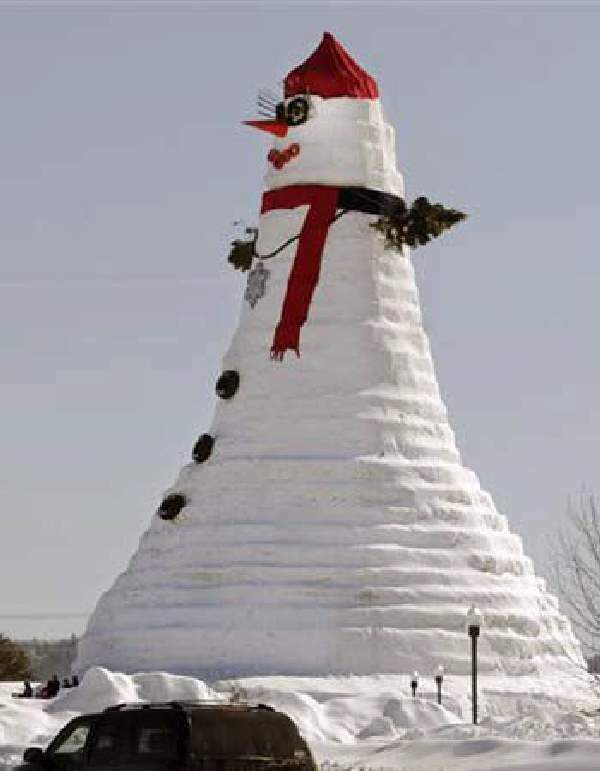 ShangralaFamilyFun.com - Shangrala's World's Tallest SnowWoman! Her Height is 122 feet 1 inch, That's about 11 stories tall! 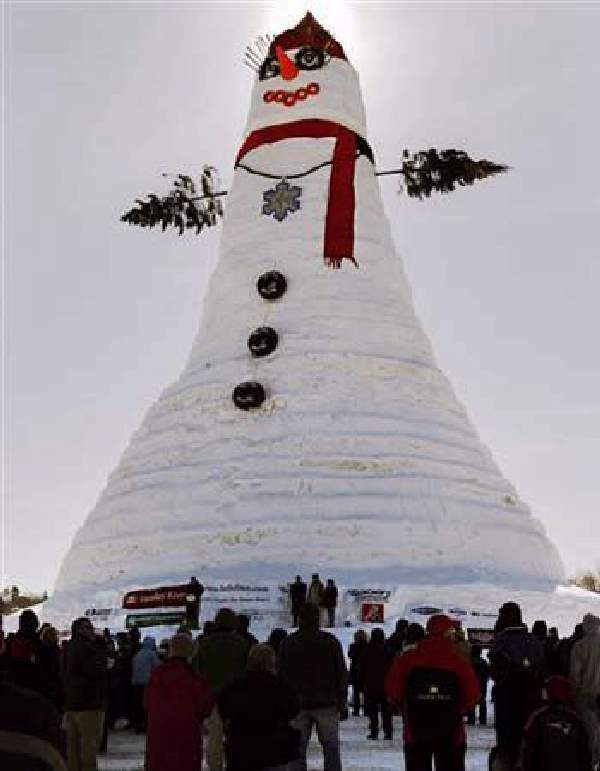 She's a Guinness record-holder as the world's tallest snowman. 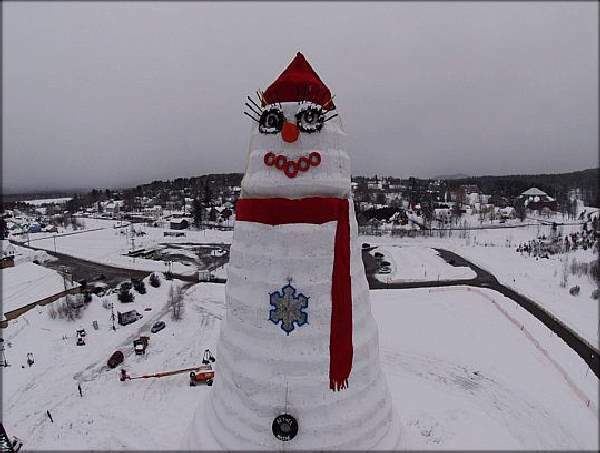 The 'snowwoman' towering over this village features eyelashes created from discarded skis and bright red lips made from painted car tires. 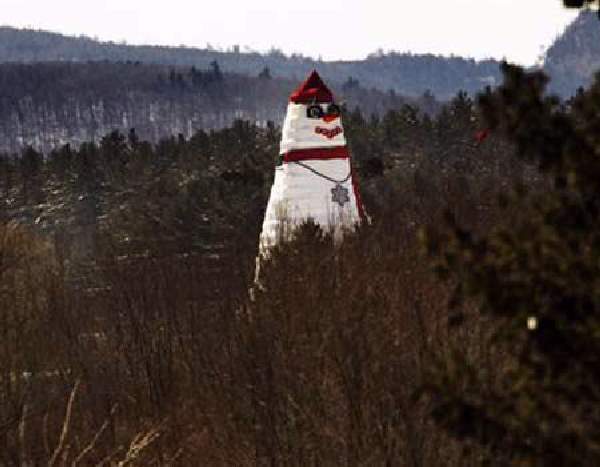 She wears a giant red hat and a 100-foot-long scarf, and her blond tresses are made from rope. She gets a little bling from a snowflake pendant that's 6 feet long. 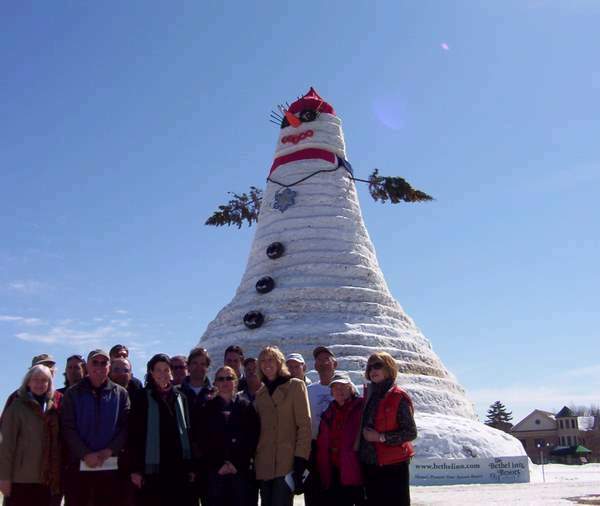 Olympia Snowe (front row, third from left) with the crew that helped build Olympia SnowWoman. 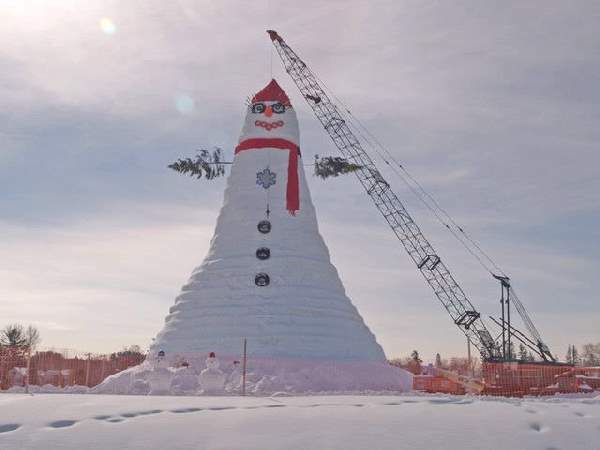 With the temperature in single digits, several hundred people including busloads of schoolchildren turned out for Friday's dedication of the 122-foot-tall mountain of snow. 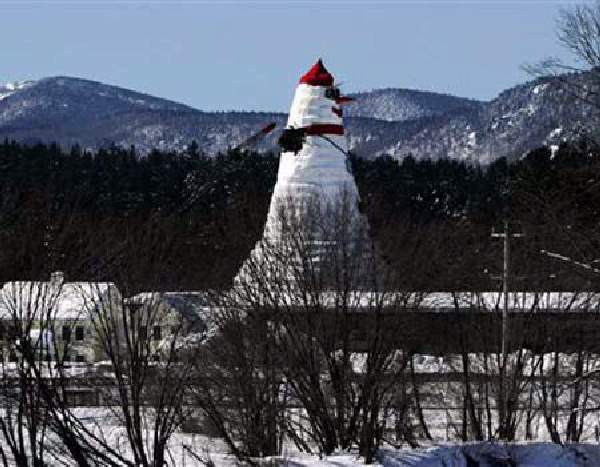 "What does Bethel, Maine, do when it gets tough? 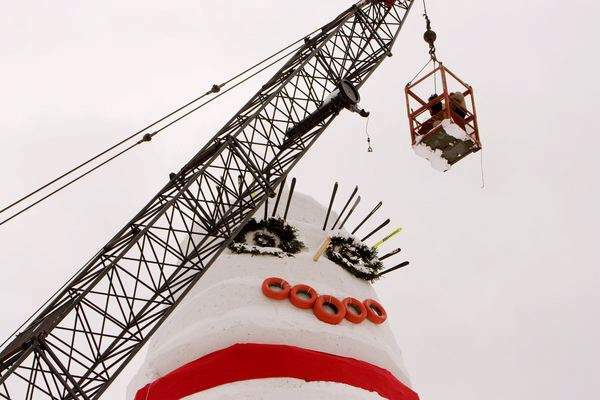 We build a snowman!" he said to the muffled applause of mittens and gloves clapping together. 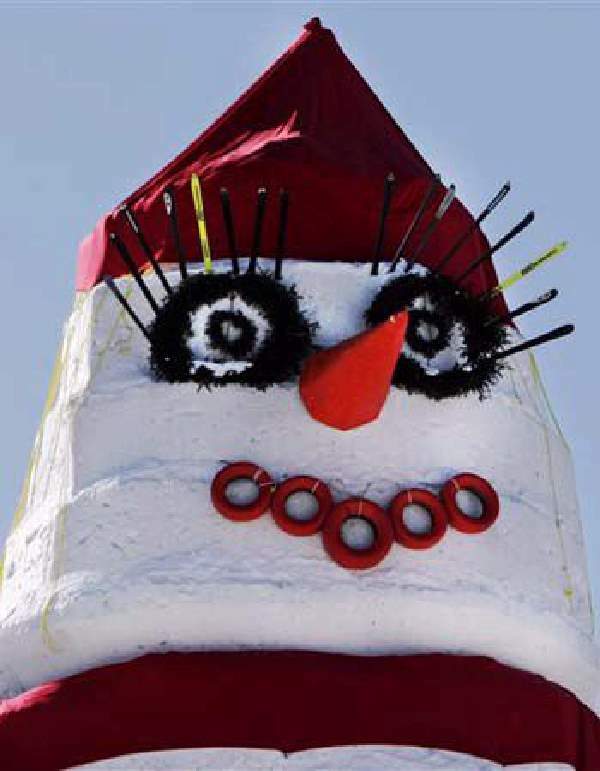 Although the snowwoman's namesake was unable to attend Friday's dedication because of her duties in Washington, a statement was read to the crowd. 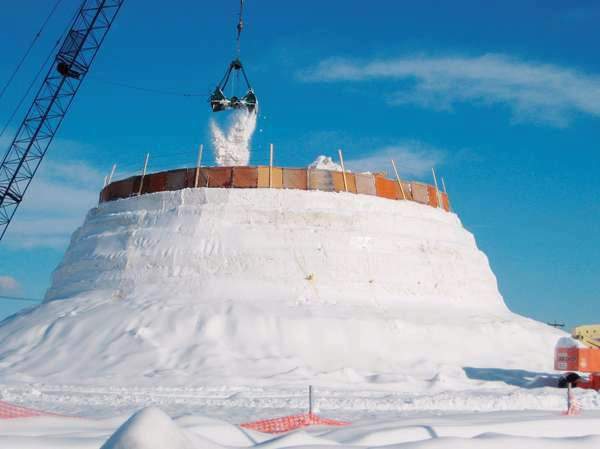 "I've joked that it's just my luck I'd have a world record-breaking monument named after me -- and it will be gone by summer," the senator said. 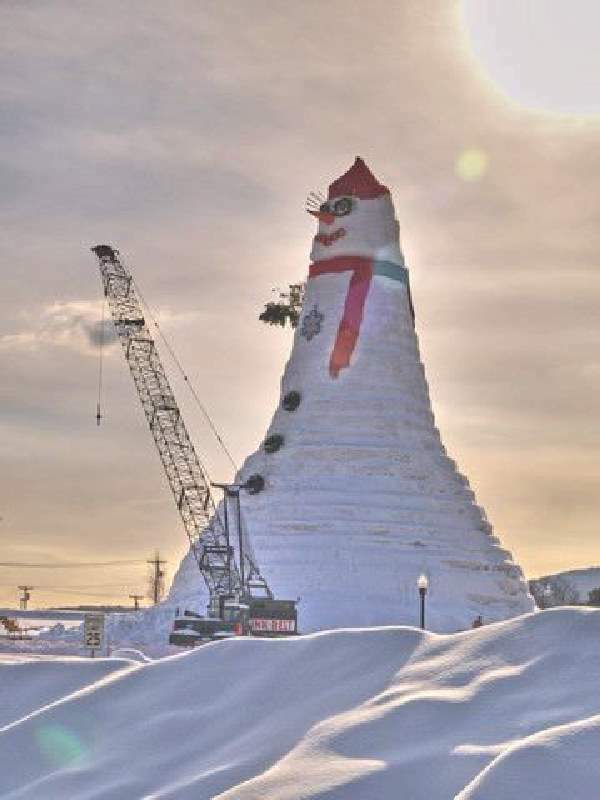 Her "carrot" nose, painted by schoolchildren, is 8 feet long. Her eyes are made from giant wreaths. 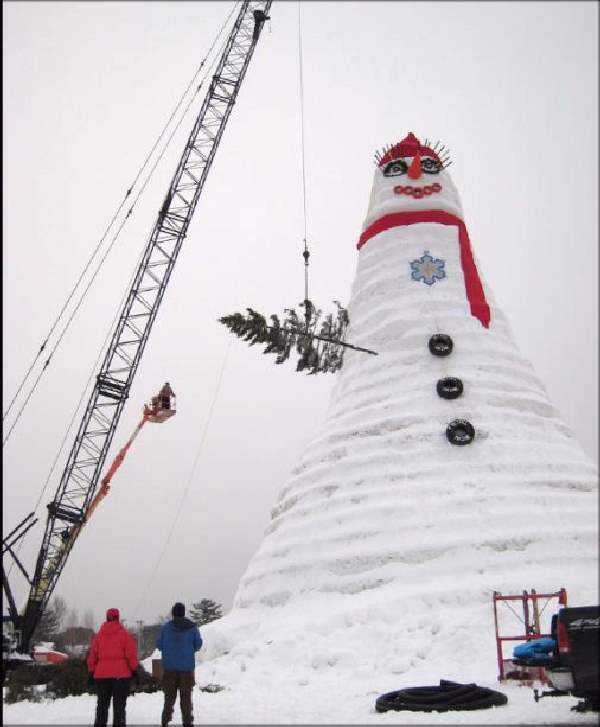 "The best part of it is how everyone in town pitched in and made it happen," said volunteer David Lynch. 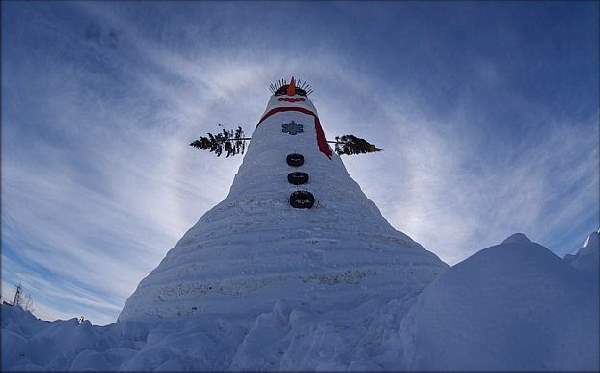 "It got hairy up at the top. I only made it to 80 feet." 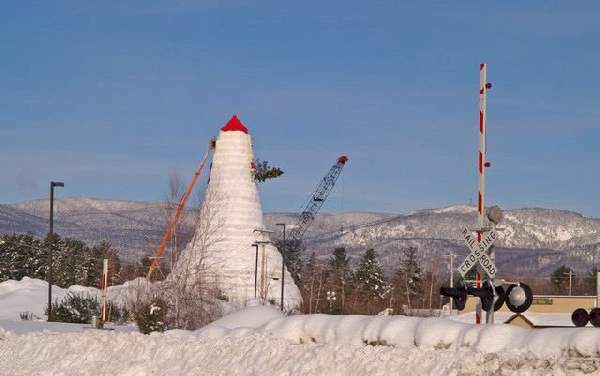 There was plenty of snow for the project. 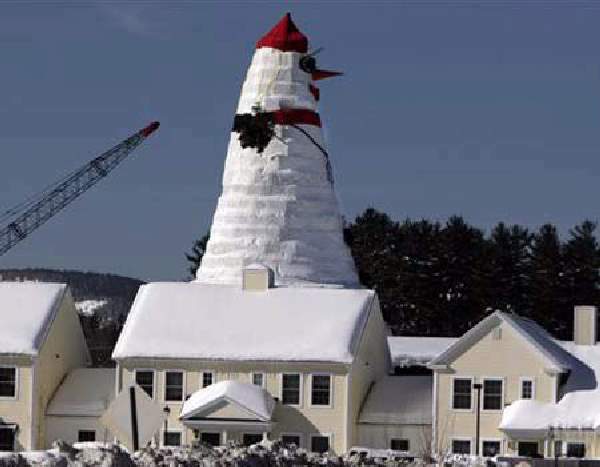 Parts of Maine have had more than 100 inches of snow that season. "People love it. With all this snow, we did something good with it," said Darlene Ginsberg, who directed traffic with one hand while holding a cup of hot coffee in the other. After the ceremony, local resident Julia Reuter stepped to the microphone and led the crowd in an impromptu singalong to the classic song, "Winter Wonderland."